The Google search engine has been around for more than 15 years and is now the dominant search engine by far. Originally with a little skill it was possible to ensure your online website would rank high in the search engine reports which would be produced for particular keyword queries. Now many are concerned that they are seeing much less traffic from Google search. Backlinks are important in developing visibility in Google searches, but the introduction by Google of the nofollow tag has made this whole subject much more complicated. To understand why this tag was introduced,you must look at the implications of the key factor in the Google search algorithm. This is the notion of PageRank. This assumes that the authority or relevance of a given webpage is determined by the number of links from other webpages that point to that given webpage. This has a great deal of common sense to support it, provided you do not tell the whole world that this is what you are doing. Google did tell the whole world with the highly predictable result. Everyone who wanted their webpage to be visible in Google searches tried to produce as many backlinks to their pages as possible to score high with the Google algorithm. This could involve computer software to generate many low content web pages but which contained links back to the web page being boosted. Google’s solution to this chaos they had created was to introduce the nofollow link. You can find full information on nofollow links in a Webmaster Tools page with the clear title, “Use rel=”nofollow” for specific links”. Basically Google will disregard any link in its search algorithm that carries the nofollow tag. Webmasters are encouraged to attach the no follow tag to any link that they do not believe carries authority. This would include links where a payment has been received to include the link on the webpage. In a sense this attempts to divide all links on the web into two categories, you might consider them as sheep and goats. The sheep influence the search algorithm while the goats are disregarded. This black and white concept is very straightforward and hardly needs further explanation. 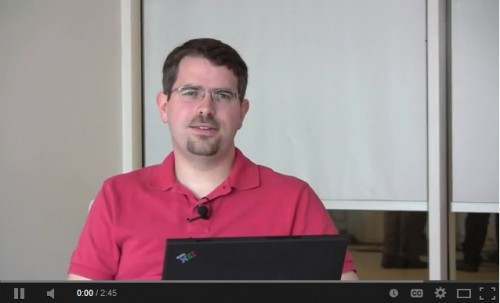 However the following video by Matt Cutts posted in 2009 provides some useful explanation of nofollow links and their intention in using them. In most social media such as Facebook or Twitter, you can include a link to another web page. If these did not carry a nofollow tag, then it is likely that those seeking to create links without the nofollow tag would create massive numbers of entries in the social media. Accordingly most links from social media do carry the nofollow tag and thus do not directly affect Google’s search algorithm. In addition, Matt Cutts has confirmed that Facebook and Twitter Social Signals such as Likes and Shares are not part of Google Search Ranking Algorithms. We should be clear that Google would be ill-advised to reveal all details of its search algorithms. Whenever it does so, then some will find ways to ensure their own websites are favored by manipulating what appears in their Web pages and links. Matt Cutts is charged with the difficult balancing act of trying to be helpful while not giving too much away. The aim of Google search is to provide the most relevant answer to a given user’s query. The search algorithms have been continually tweaked and improved over the years in attempting to achieve this goal. It is often stated that over 100 factors are involved in the search algorithms. Nevertheless the whole system is set up so that a vast amount of data can be analyzed and the results produced in a fraction of a second. Although there have been flat denials that social media stats such as Likes and Shares influence the search algorithms, it is clear that there is useful information in how visitors navigate the nofollow links and check out what seems relevant to them. Google can certainly be aware of the visitors’ traffic flow around the social media and know what seems to be of particular interest. Given that they wish to serve up the most relevant Web pages for visitor queries, it would not be surprising for them to be taking some notice of these traffic flows. In other words, although the nofollow link is not represented in the Google search algorithm, possibly the traffic flowing through that link may be an influence in rankings. With the growing importance of social media activity, it would seem likely that now or in the future such visitor traffic data will be influencing search visibility. It therefore seems appropriate to put some effort into social media involvement given this and at the very least that may create direct visitor referral traffic via the links. Given the above discussion, it seems worthwhile to be investing some effort in social media activity if one has online properties. Different social media attract different visitors so unless one is working with a very focused socio-demographic group, it will be appropriate to cover a number of the more popular social media. A good example of how this is applied can be seen in the “Best Quotes Of The Day” (BQ0TD) online properties. Quotes are a very popular item on the Internet and this is a sector where there is much competition with some fine quote sites. The first BQOTD property was a BQOTD Facebook page which over the years has grown and attracted many adherents. It currently has 195,930 followers. Given the Facebook page popularity, it was decided that a website where users could easily search for particular authors’ quotes would be well appreciated. Accordingly a BQOTD website was created allowing users to search a large and growing database of quotes (currently with 52,223 quotes). To improve the visibility of this website, standard link building techniques are difficult to apply. Accordingly it was decided to create some associated social media pages, which at the least could bring visitors to the website by direct referrals. Since some attractive quotes are often displayed as images, a BQOTD Pinterest account seemed a natural way to complement what was available on the Facebook page and on the website. Given the Best Quotes label, careful curation was used to show only really striking quotes. At the time of writing, the number of quotes included is 1,088 with the number of likes at 943, which is much above what is normally seen for such a Pinterest site. This is very much an ongoing work in progress but nevertheless against strong competition the BQOTD quotes web pages frequently rank well in Google searches.